Art classes meet once a week throughout the year for 40- 50 minutes depending on the grade. 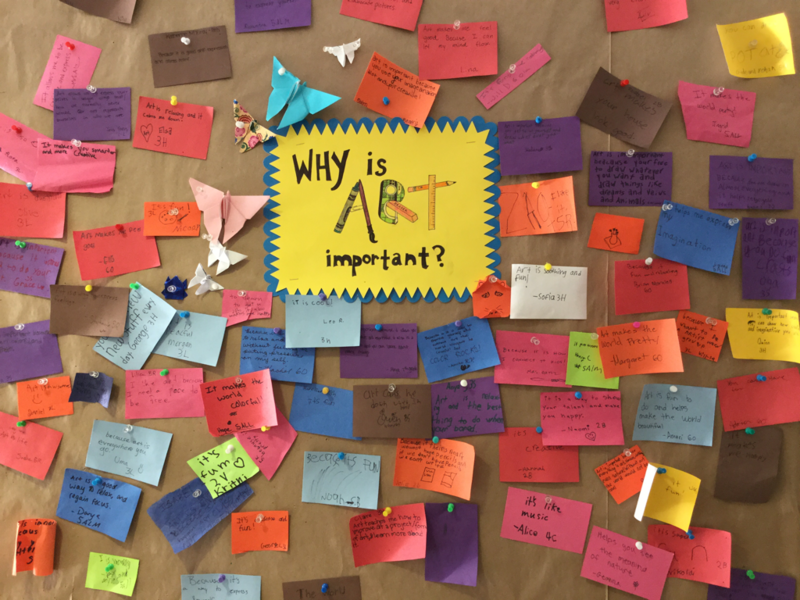 Students were asked to respond to the question, "Why is art important?". They can make a note with their response and add it to the board throughout the year. Enjoy some of their answers below, or stop by the art room to check it out for yourself!